2019 brings not only one but two elections to Bulgaria; the European Parliamentary Election as well as Bulgarian local elections. Depending on the different outcomes, snap parliamentary elections are also a likely scenario. At the beginning of the year, we can already start seeing some signs of themes that usually are brought up around election season (like high rank politicians fuelling ethnic tension). As it seems, the new year will not bring new luck to the citizens of Bulgaria. – On December 12th, the Bulgarian Construction Chamber (BCC) organized a “peaceful procession” on the streets of Sofia in which hundreds of workers took part, riding industrial vehicles. The demonstration was not presented as a protest against any specific policy of the government or in favor of any particular regulation. The BCC – an association which unites the major construction companies that carry out a great share of the infrastructure projects funded by the EU – blocked the streets of the capital to protest “attacks against the guild” and the “accusations of corruption and poor construction quality”. The Chamber has not said where those accusations come from, but the whole affair came about against the background of a call, from the Bulgarian Socialist Party (BSP), that the construction quality of the country’s roads should be inspected. On the very same day (and right at the end of the fiscal year) the government approved a 1.35 billion Leva (~690 million Euro) highway construction project in the north of the country. – On December 17th, the European Commission (EC) announced that it had fined Bulgarian Energy Holding (BEH), its gas supply subsidiary Bulgargaz, and its gas infrastructure subsidiary Bulgartransgaz (the BEH group), over 77 million Euro for blocking competitors’ access to key gas infrastructure in Bulgaria, in breach of EU antitrust rules. Prime Minister Boyko Borissov insisted that the Commission’s decision to fine the BEH had been based on the government’s refusal to privatize the energy infrastructure and that the mulct’s amount has been successfully negotiated and thus decreased from the initial 300 million Euro. The EC refuted both claims. Additionally, “without linking the two topics” Borissov declared that he had requested 80 million Euro in aid from the Commission for Bulgaria’s border enhancement. – “The Cost of Corruption” Report of the Greens/EFA Group in the European Parliament issued in December concluded that corruption in Bulgaria is worth 14 percent of the country’s GDP. The report’s calculations were based on data from the European Parliament, European Commission, Eurostat and the European Anti-Fraud Office. – Bulgaria has the lowest proportion of people who feel like citizens of the EU (51 percent), a public opinion poll from Eurobarometer published in December shows. – Bulgaria is the largest producer of herbs and spices in the EU. According to a Eurostat report published in December, in the year 2017, a total of 81,000 tons of aromatic and medicinal plants and spices were grown in the country. The quantity of Bulgarian herbs is almost double that of the second largest producer of herbs in the EU, Poland, where 44,000 tons were harvested. Spain ranks third with 32,000 tons. 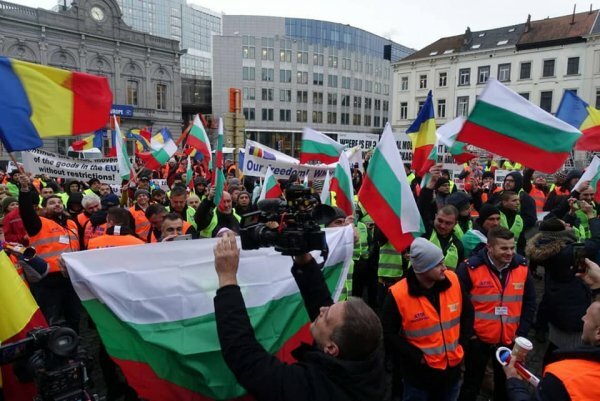 – On January 12th , a group of Bulgarian truckers joined hundreds of others from Eastern Europe in Brussels to protest the EU’s new mobility package. The Bulgarian delegation, which was backed by their government, opposition members, the president, and MEPs, rallied against several new regulations, including a ban on drivers resting in their truck cabin and the requirement that trucks and drivers return to their country of origin every four weeks for twenty days. – Protesters gathered in Sofia on January 14th to call for the resignation of Minister of Defence and vice Prime Minister Krasimir Karakachanov (IMRO – Bulgarian National Movement, United Patriots). The protest was began in response to xenophobic statements from the Minister. Commenting on the assault on a Bulgarian soldier, Karakachanov stated that “Gypsies in Bulgaria have grown exceedingly insolent and the tolerance of Bulgarian society has worn thin”, he had also ordered the demolition of “dangerous buildings”’ in the neighborhood where the youths accused of assaulting the soldier lived. – The Bulgarian Socialist Party (BSP) announced its “Vision for Europe” on January 12th. In preparation for the upcoming European Parliament elections BSP has also approved a few criteria for its candidates for MEPs. Among the requirements for the future representatives are: to be strictly against the adoption of the Council of Europe’s Convention on preventing and combating violence against women and domestic violence and the United Nations’ Global Compact for Migration. 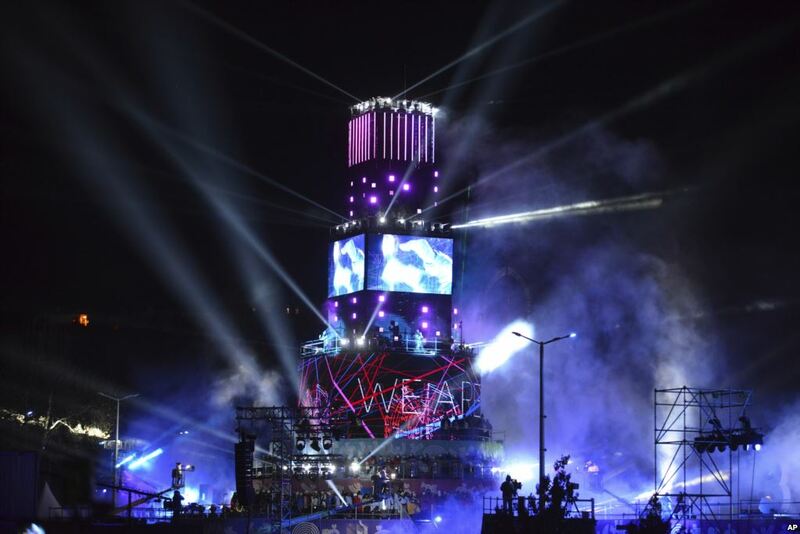 – The southern Bulgarian city of Plovdiv celebrated its inauguration as a European Capital of Culture with an opening show on January 12th. The city shares the honor in 2019 with Matera, Italy. Bozho Kolov is a Political Science graduate from Sofia. After working and studying in Poland and Romania he decided to continue his education in the EU-Russia master program at Tartu University, Estonia. His main research interests are Eastern European Politics, Church-State relations and Socialist monumental architecture. Besides politics he is interested in literature and theatre. Previous Previous post: The Russian Question and the Council of Europe: where is the conflict headed?